...like your first icecream cone of summer! We had just finished an exhilarating day at the zoo (new train was open! ), and it was hot! 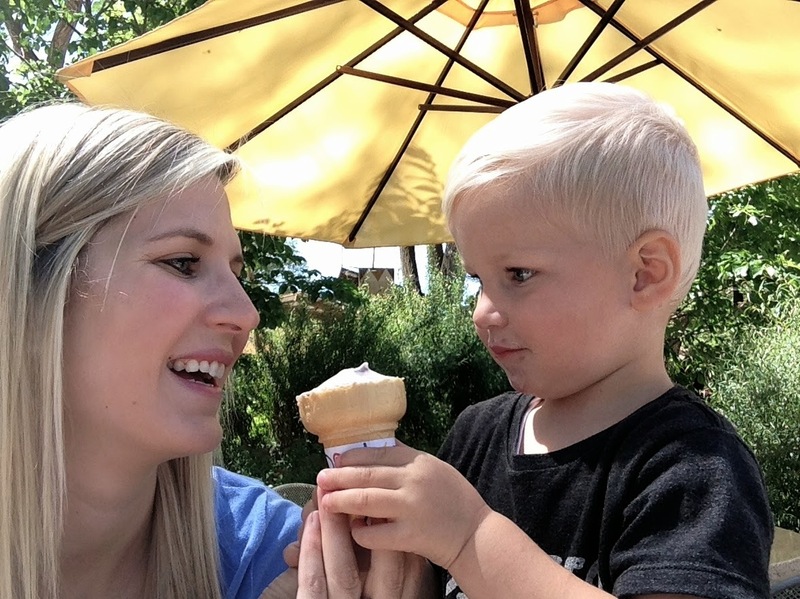 I was feeling a sweet treat, and I knew that little L would help me devour a cone. 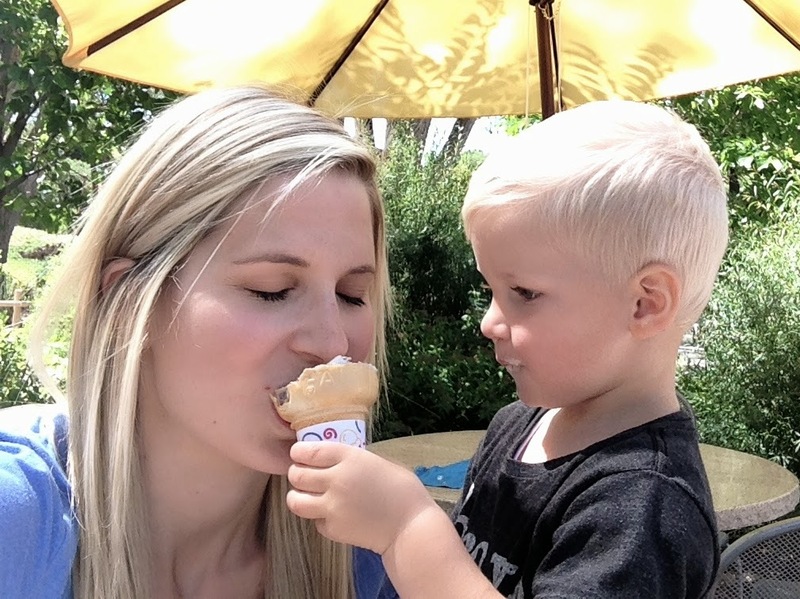 There is nobody in this world that I would rather share icecream with. So sweet! I love the way he's watching you in the last picture, like he is concentrating so hard on making sure you get some :) He's a sweet sweet little boy! So cute! 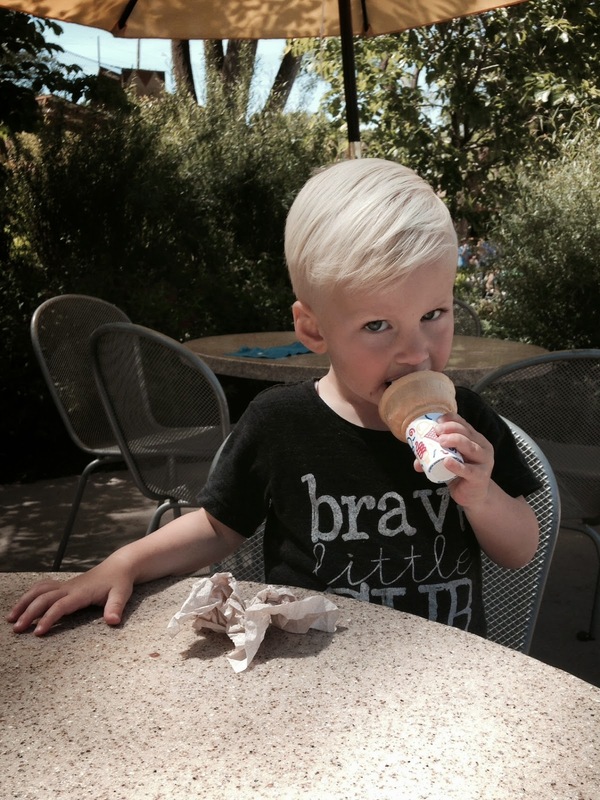 Noah and I share ice cream more times than I care to admit... It's my favorite and appears to be his as well! Adorable! I took Mac out for snow cones last night and he was so proud, eating it all by himself. Of course he was a red, sticky, sugary, disgusting mess, but that's what summer is for, right? I probably should have just hosed him down outside and called it a day! so fun! 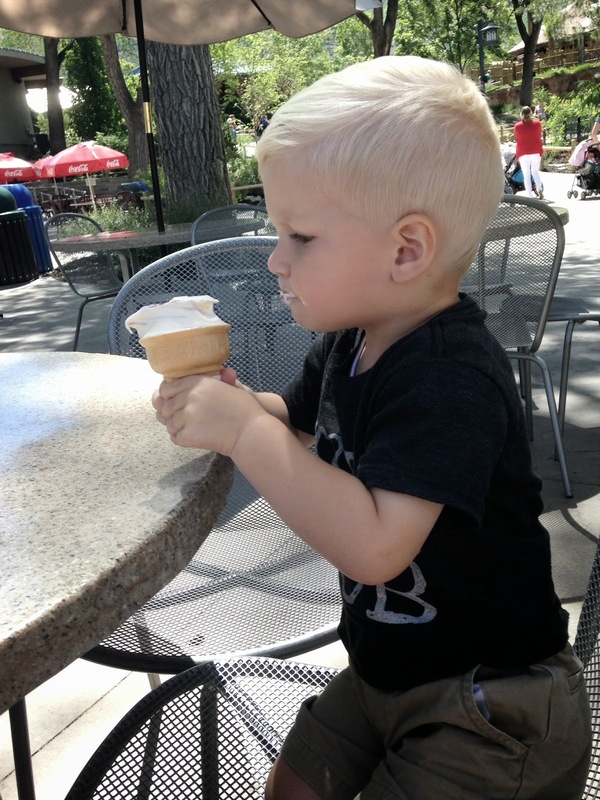 an ice cream cone at the zoo is like the essence of summer! Love his haircut! He looks so grown up!